The arrival of Fingerprint scanner on smartphones opened a new era of phone security. It is not just easier, it is also more secure than inputting key-code or drawing a pattern. MasterCard want the same technology on their credit or debit cards to make the contactless payment secure. Fingerprint sensor can eliminate the possibility that someone may steal your card and just use it. The Zwipe MasterCard payment card is the first fingerprint authenticated contactless payment card. The card is integrated with a biometric sensor. To use the card, owner simply have to place their thumb on the fingerprint sensor when they doing a contactless payment transaction. If the fingerprint is not registered as authorized owner, the purchase won't be processed. Where do it get its power? Does it have a battery? - actually it doesn't need charging because it will be harvesting energy from the payment terminal whenever owner use it. 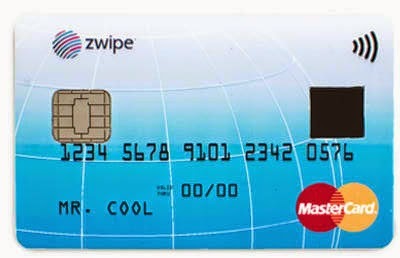 The new version of this high-tech card will be released by Zwipe for MasterCard in 2015.